Role: Lead designer of interior layout of book, pre-press check, and photo retouching 100’s of image of artwork. 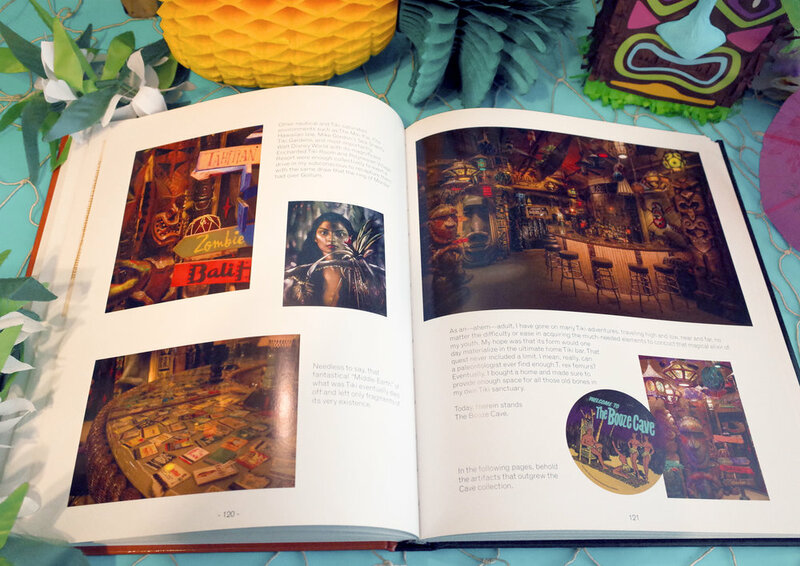 The Art of Tiki is a passionate study of the Tiki idol as an art form. For the first time, contemporary Tiki art is united and presented equally with what inspired it, original mid-century Polynesian pop. Author Sven Kirsten combines his first-hand experiences in exploring the birth of Tiki style with his intimate knowledge of the Tiki Revival, painting a vivid, visually arresting portrait of a unique, always new art genre. The Art of Tiki is published in conjunction with the 20th Anniversary Tiki Art Exhibition at La luz de Jesus Gallery in Los Angeles. Sven was born in the the German port town of Hamburg in 1955. He emigrated to California in 1980 to study at the San Francisco Art Institute and the American Film Institute. It was this love for visuals that inspired Sven to collect and photograph the remnants of the forgotten culture of Polynesian pop in America, leading him to identify the Tiki as its icon. His three books on the subject put Tiki firmly on the map of American pop culture, and are regarded as the standard works on the style. Otto von Stroheim was born and raised in Los Angeles, never more than a short car ride away from Tiki Restaurants, Disneyland and the beach. In January of 1995 Otto launched the zine Tiki News to network with the then-tiny Tiki community. He co-curated the first-ever group Tiki Art show at La Luz Gallery in 1996 and is credited with giving Shag his first solo show. He has published seventeen issues of his Zine, written liner notes for Exotica music reissues, introductions to books, and magazine articles. He also curated three Tiki Art Now! exhibits accompanied by book-sized catalogs. collaboration with the City of Monrovia’s City Manager’s Office to design a website that addresses locals on developments and information surrounding new construction and how it affects the community. Logo designs for Primo - a men’s dopp kit and toiletry bag company (formerly Diplomat).